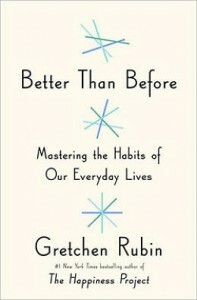 In an excerpt from her new book, best-selling author Gretchen Rubin explains how to schedule habit change into your daily routine. The Strategy of Scheduling, of setting a specific, regular time for an activity to recur, is one of the most familiar and powerful strategies of habit formation. Scheduling makes us far more likely to convert an activity into a habit. Habits grow strongest and fastest when they’re repeated in predictable ways, and for most of us putting an activity on the schedule tends to lock us into doing it. To apply the Strategy of Scheduling, we must decide when, and how often, a habit should occur. 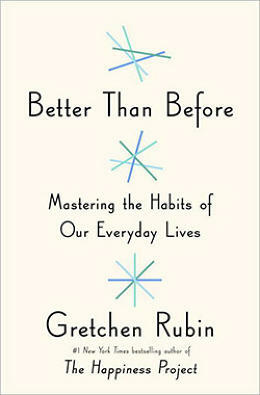 Generally, advice about habit formation focuses on fixed habits—that is, habits that always happen in the same way, without conscious thought. Every day I’m up and brushing my teeth before I know it; I put on my seat belt; I meditate after I get dressed. However, I’ve noticed that I have both fixed habits and unfixed habits. An unfixed habit requires more decision making and adjustment: I’m in the habit of going to the gym on Mondays, and I write every day, but every Monday I must decide when to go to the gym, and I must decide when and where I’ll do my daily writing. I try to make my good habits as fixed as possible, because the more consistently I perform an action, the more automatic it becomes, and the fewer decisions it requires; but given the complexities of life, many habits can’t be made completely automatic. I’d given up the idea that I can create a habit simply by scheduling an action a certain number of times. Although many people believe that habits form in twenty-one days, when researchers at University College London examined how long people took to adopt a daily habit, such as drinking water or doing sit-ups, they found that, on average, a habit took sixty-six days to form. An average number isn’t very useful, however, because—as we all know from experience—some people adopt habits more easily than others, and some habits form more quickly than others. Bad habits can be easy to create, though they make life harder, while good habits can be hard to create, though they make life easier. If you do something once it’s exciting, and if you do it every day it’s exciting. But if you do it, say, twice or just almost every day, it’s not good any more. One of my most helpful Secrets of Adulthood is “What I do every day matters more than what I do once in a while.” Perhaps surprisingly, I’ve found that it’s actually easier to do something every day than some days. For me, the more regular and frequent the work, the more creative and productive I am—and the more I enjoy it—so I write every single day, including weekends, holidays, and vacations. What I do every day matters more than what I do once in a while. Similarly, it’s easier for me to post to my blog six days a week, instead of four days a week, because if I do it four days a week, I spend a lot of time arguing with myself about whether today is the day. Did the week start on Sunday or Monday? Do I deserve a break? Did yesterday “count”? When I post six days a week, I don’t have to make any decisions. Along with meditation, I identified two new habits to follow every day. First, I wanted to email more often with my sister. I don’t get to spend nearly enough time with Elizabeth, and it’s hard even to find time to talk by phone. I could at least schedule a daily email—even if I only wrote a few words in the subject line. Also, I decided to take a daily photo of something beautiful or interesting. I hoped this exercise would sharpen my sensibilities by requiring that I watch, throughout the day, for a subject worthy of photographing. Doing a habit every day is helpful; does time of day matter? For most people, whenever possible, important habits should be scheduled for the morning. Mornings tend to unfold in a predictable way, and as the day goes on, more complications arise—whether real or invented—which is one reason why I’d scheduled my new meditation habit in the morning. Also, self-control is strongest then; I heard about one corporate dining room that encourages healthier eating habits by requiring people to place their lunch orders by 9:30 a.m., no changes permitted. By contrast, self-control wanes as the day wears on, which helps explain why sexual indiscretions, excessive gambling, overconsumption of alcohol, and impulsive crimes usually happen at night. To clear time to schedule a new morning habit, many people try waking up a bit earlier, but this can be tough. One trick? Use the autumn end to daylight saving time as a painless way to add an hour to the morning. Most people relish the extra hour of sleep when time “falls back” (fewer car accidents occur on the Monday after the time change, because people are better rested). The time change, however, offers an easy opportunity to change daily habits. We can start waking up an hour early, and we can do a lot with that hour.